The Manchester Inn was lost in a fire bolstered by high winds and driving rain in Ocean Grove early on the morning of March 13, 2010. Thanks to alert neighbors and the quick work of the Neptune Township Police Department, all occupied buildings were safely evacuated. We want to express our great thanks to the Neptune Township Fire Departments (all houses), First Aid (all houses), Fire Police (both districts), Neptune Police Department, and Office of Emergency Management. In addition we thank all fire and rescue departments from surrounding areas. We are thankful that the losses were limited to buildings and possessions. Please keep those who suffered the loss of their homes in your thoughts. 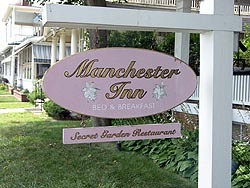 The Manchester Inn, The Ocean Grove New Jersey Bed and Breakfast and The Secret Garden Restaurant are steps from the white sandy beach and the gentle surf of the Atlantic Ocean. 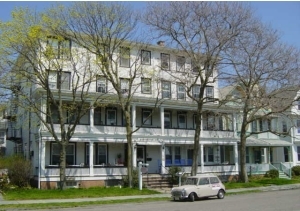 Just one block from the ocean and ½ block from the Great Auditorium, the New Jersey Bed and Breakfast Inn is approximately one hour from New York City and Philadelphia, but a world away. 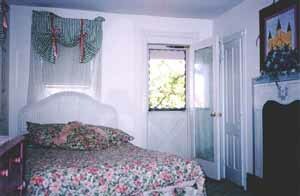 It is one of historic Ocean Groves most delightful Victorian inns. 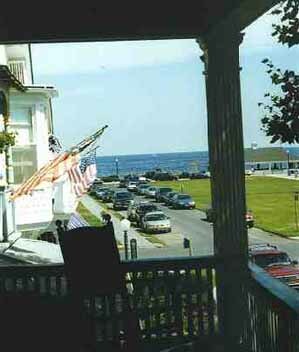 Enjoy the cooling ocean breezes from our rocking chair porch while overlooking Ocean Pathway, Ocean Groves finest avenue! Jon takes on a thirty five room Victorian hotel while guests enjoy "Murder Mystery Theater" night. With 60 plus patrons mulling about and a ltheatrical performance underway, Jon and his crew get busy pick-pocketing guests and raiding their rooms at this Jersey Shore getaway.